Cash, Visa, MasterCard, American Express and Debit are accepted. Centennial Theatre Box Office cannot provide refunds on tickets. Subject to availability, tickets may be exchanged for a different performance of the same show. Tickets cannot be exchanged online. **NOTE: the online ticket sales system may not be accessible through older web browsers (eg. Internet Explorer 8, 9, 10 and older versions of Safari). To fix this problem, go to Tools->Internet Options->Advanced->Settings and turn on allow TLS. 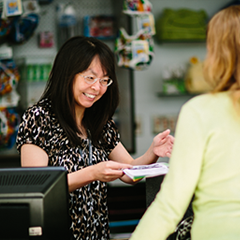 If you experience any difficulties accessing online sales or have any questions please contact the Box Office by email or call 604-984-4484.